Alpine has been reluctant to increase production of the car, which takes 1½ weeks to build. DIEPPE, France -- Renault Group's Alpine sports car brand is raising production of its A110 coupe to try to reduce waiting times that stretch more than a year. Reviving the long-dormant brand was a gamble for Renault in an era of declining sports-car sales, but the retro-styled A110 has proved to be a hit since being unveiled in March last year. The automaker, which sold out its initial 1955 Premiere launch versions of the car, says it has 5,000 reservations for standard production models. This demand has created a backlog stretching 14 months, Regis Fricotte, Alpine's head of sales and marketing, said during an event this week at the brand's factory here on France's northwestern coast. In response, the overhauled plant will increase production to 20 cars a day from 15, Fricotte said. Buyers wanting to buy the standard Pure version of the car, which costs 54,700 euros (about $63,800) in France, and more the luxurious Legende variant (which is 4,000 euros more) are still only able to make a 2,000-euro ($2,350) reservation to secure a place on the waiting list. Order books don't officially open until September at Alpine's 49 European dealers, but only those who reserved a long time ahead will take delivery of cars before the end of the year. The limited-edition Premiere cars sold out in less than five days, Renault said. 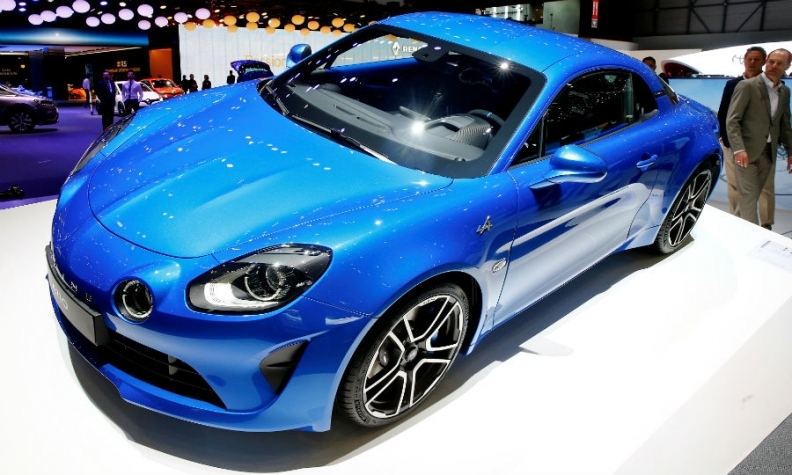 Alpine started making the A110 Premiere in December last year and has since produced 1,200 units of the car, which uses a bespoke aluminum body shell assembled in the Dieppe plant. "Currently, our first priority is quality -- and our second and third. Then we talk about quantity," said Sebastien Erphelin, Alpine's interim managing director. The A110, which uses a Renault-sourced 1.8-liter turbocharged engine mounted behind the seats, occupies a relatively uncrowded niche that includes cars such as the Porsche Cayman and Alfa Romeo 4C, which is being discontinued. Automotive publications that have reviewed the A110 have widely praised its agility. Increasing production at the Dieppe factory will involve speeding up assembly rather than investing more in processes. "It won't take that much. We just reduce the time on each station," Dieppe plant manager Pierre-Emmanuel Andrieux told Automotive News Europe. "We just need to make sure we have all the quality basics." The plant had started production slowly to help with that, he said. Cars are built on a single shift, and Andrieux said he had no intention of moving to a second shift. The factory can build 6,000 Alpine cars a year, Renault has said. Increasing the speed to 20 cars a day would push production to 5,200 annually. The Dieppe plant also assembles performance Renaultsport versions of the Clio subcompact on the same production line at a rate of 25 a day. Erphelin wouldn't reveal Alpine's plans for the brand. European media have speculated that Renault wants to create a premium brand encompassing a range of models including SUVs. Erphelin said the goal was to be profitable. "We are in the car industry," he said. "We are not here to lose money. It takes time."